Regardless of whether a visitor needs a prescription refill in a pinch, or just a few over-the-counter medications to have on hand, Beach Pharmacy of Hatteras can assist with just about every medical need in the southern Outer Banks. Located in the heart of Hatteras village, this small pharmacy that has been established for decades continues to provide exceptional service to residents and visitors alike through a professional staff and ample options. Beach Pharmacy of Hatteras if a small pharmacy to be sure, and is tucked away in the heart of Hatteras village in a modest shopping plaza that’s found along the main NC Highway 12. Despite its small size, however, the pharmacy is well equipped with everything patients and visitors could need to ensure their medical needs are met – even when they are on vacation. In addition to the pharmacy itself, the small business also has an on-site gift store with lots of unique items that can’t be found anywhere else. With a knowledgeable staff that has been serving customers for years, the team at Beach Pharmacy of Hatteras can assist with any need, large or small. 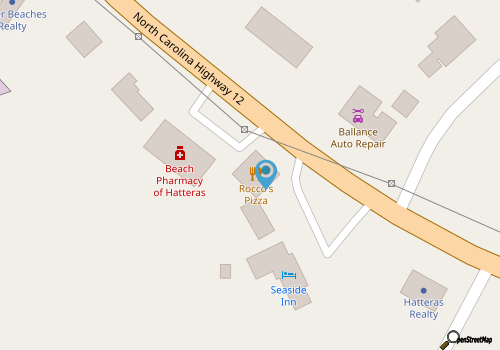 As such, Beach Pharmacy of Hatteras is a great resource for all island visitors and residents. Call 252-986-2400 for current hours.